We’re proud to call for nominees for our new SIG awards program! Although we are continuing to participate in STC awards programs, our awards will provide additional opportunities to celebrate the contributions of our great volunteers, and put recognition within the reach of more SIG members. Any SIG member who has at least two years of SIG membership and volunteer activity by January 1 of the year in which they are nominated. This award is given to a volunteer who has demonstrated consistent service to the SIG over a period of two or more years, either as a volunteer in a recurring role, or as a volunteer who has served in many ways without having held an elected office or appointed position. The award reflects a recipient's contributions such as adding value for SIG members, making volunteers’ jobs easier, encouraging continued participation in the SIG, and demonstrating creativity and teamwork. Anyone who has been a SIG member for no less than four months or no more than two years by January 1 of the year in which they are nominated, and has offered significant volunteer activity within that year. Anyone who has been a SIG member for longer than one year, but who has offered significant volunteer activity for the first time in the history of their membership. Serving as a committee chair, keeping the committee active, and working with the committee to provide new or innovative services. Taking on a task that solves a SIG problem or that motivates others to become involved as volunteers. Creating an innovative event or process that benefits the SIG. This award is given to a SIG member who has volunteered for the first time. This can be someone with a year or less of SIG membership who has offered significant volunteer activity during that time, or someone who has been a SIG member for one or more years but who has offered significant volunteer activity for the first time. This award seeks to recognize newer SIG members who “hit the ground running” as volunteers, or longer-term members who never have volunteered before but stepped up for the first time. The name of your nominee and the recommended award. A description of why you feel this nominee should receive the award. Please submit your nominations by December 31, 2018. 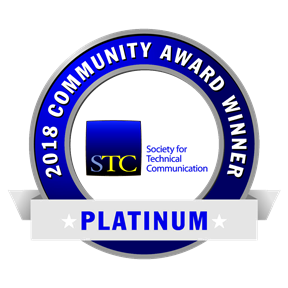 IDL SIG Named a 2018 Platinum Community! One again, our SIG has been named an STC Platinum Community! 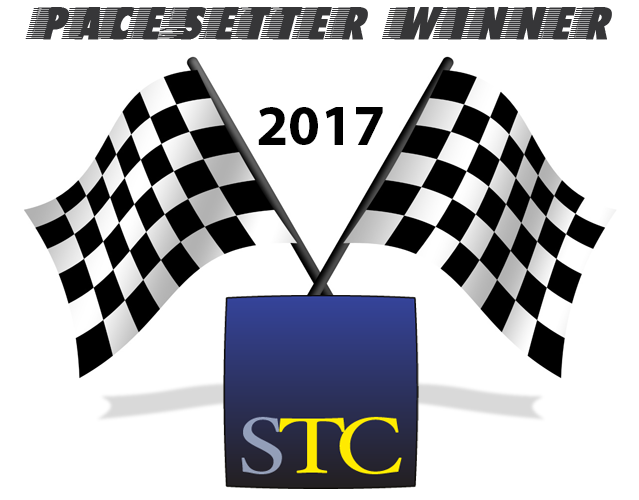 This award, the highest level in the STC Community Achievement Awards, recognizes our accomplishments and member services over the past year. 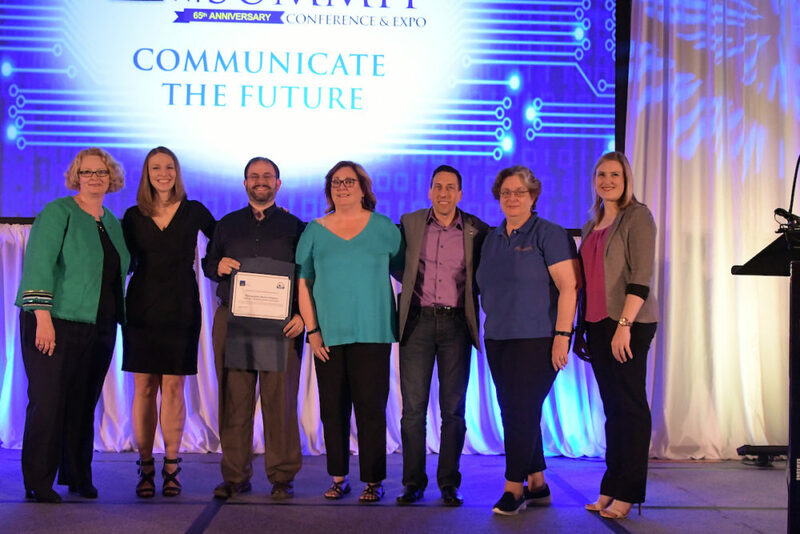 "For your dedication in promoting the technical communications profession by disseminating knowledge, sharing expertise, providing valuable programs, fostering leadership development and performing student outreach." Our community will be recognized during the Leadership Program (on Sunday, May 20) at the 2018 Summit in Orlando, FL. At that time, we will receive our CAA certificate. In addition, we encourage all our community members to attend the Honors Event (on Wednesday, May 23, at 11:15 am), as the Community of the Year and Most Improved Community will be announced during that time. There will be a photographer at both the Leadership Program and Honors Event; following the Honors Event will be the best time for a group picture. Congratulations and many thanks to our SIG leaders, and to ALL members of the Instructional Design & Learning SIG! This award belongs to all of you. We wouldn't have a SIG without you! "For fulfilling the STC mission of providing quality programs to members through innovative activities. For your outstanding work on leadership, transition, and community outreach." Our community will be recognized during the Leadership Program (on Sunday, May 7) at the 2017 Summit in Washington, DC. At that time, we will receive our CAA certificate. In addition, we encourage all of your community members to attend the Honors Reception (on Tuesday, May 9, at 5:30pm), as the Community of the Year and Most Improved Community will be announced during that time. In addition, there will be an opportunity to have the official event photographer take a group photo of your community members with your award at the end of the evening. Congratulations to all members of the Instructional Design & Learning SIG!